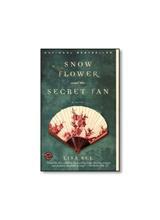 See's engrossing novel set in remote 19th-century China details the deeply affecting story of lifelong, intimate friends (laotong, or "old sames") Lily and Snow Flower, their imprisonment by rigid codes of conduct for women and their betrayal by pride and love. While granting immediacy to Lily's voice, See (Flower Net) adroitly transmits historical background in graceful prose. Her in-depth research into women's ceremonies and duties in China's rural interior brings fascinating revelations about arranged marriages, women's inferior status in both their natal and married homes, and the Confucian proverbs and myriad superstitions that informed daily life. Beginning with a detailed and heartbreaking description of Lily and her sisters' foot binding ("Only through pain will you have beauty. Only through suffering will you have peace"), the story widens to a vivid portrait of family and village life. Most impressive is See's incorporation of nu shu, a secret written phonetic code among women—here between Lily and Snow Flower—that dates back 1,000 years in the southwestern Hunan province ("My writing is soaked with the tears of my heart,/ An invisible rebellion that no man can see"). As both a suspenseful and poignant story and an absorbing historical chronicle, this novel has bestseller potential and should become a reading group favorite as well. Lily at 80 reflects on her life, beginning with her daughter days in 19th-century rural China. Foot-binding was practiced by all but the poorest families, and the graphic descriptions of it are not for the fainthearted. Yet women had nu shu, their own secret language. At the instigation of a matchmaker, Lily and Snow Flower, a girl from a larger town and supposedly from a well-connected, wealthy family, become laotong, bound together for life. Even after Lily learns that Snow Flower is not from a better family, even when Lily marries above her and Snow Flower beneath her, they remain close, exchanging nu shu written on a fan. 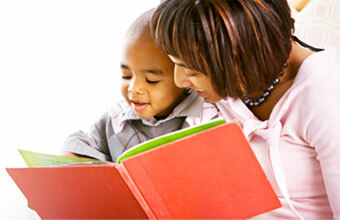 When war comes, Lily is separated from her husband and children. She survives the winter helped by Snow Flower's husband, a lowly butcher, until she is reunited with her family. As the years pass, the women's relationship changes; Lily grows more powerful in her community, bitter, and harder, until at last she breaks her bond with Snow Flower. They are not reunited until Lily tries to make the dying Snow Flower's last days comfortable. Their friendship, and this tale, illustrates the most profound of human emotions: love and hate, self-absorption and devotion, pride and humility, to name just a few. Even though the women's culture and upbringing may be vastly different from readers' own, the life lessons are much the same, and they will be remembered long after the details of this fascinating story are forgotten. Request: Snow Flower and the Secret Fan.